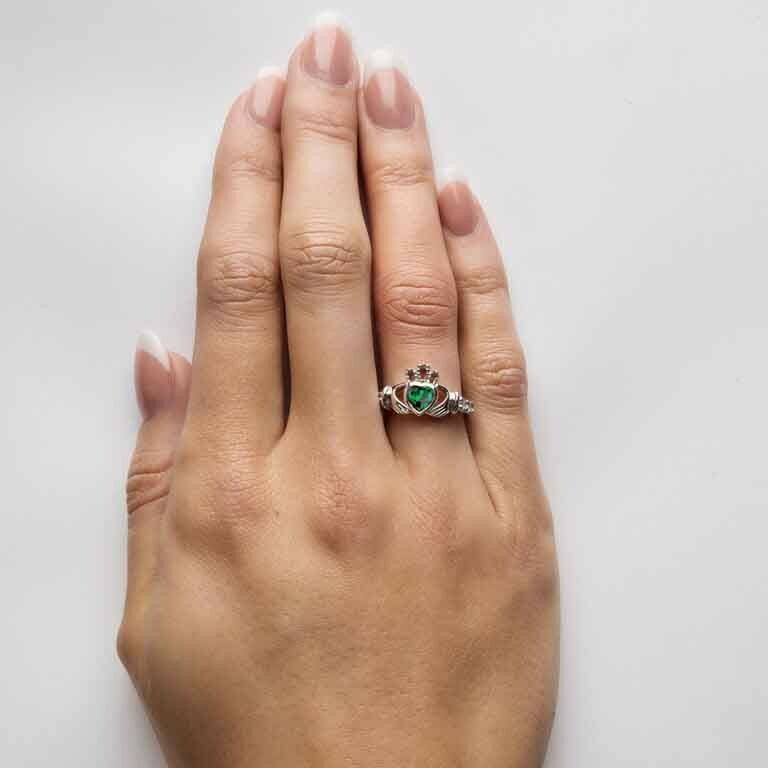 Celebrate friendship, loyalty and love with this unique emerald heart Claddagh ring! "The heart of the Emerald Isle beats in us all...no matter where we fare." A bit of green fire on your finger! 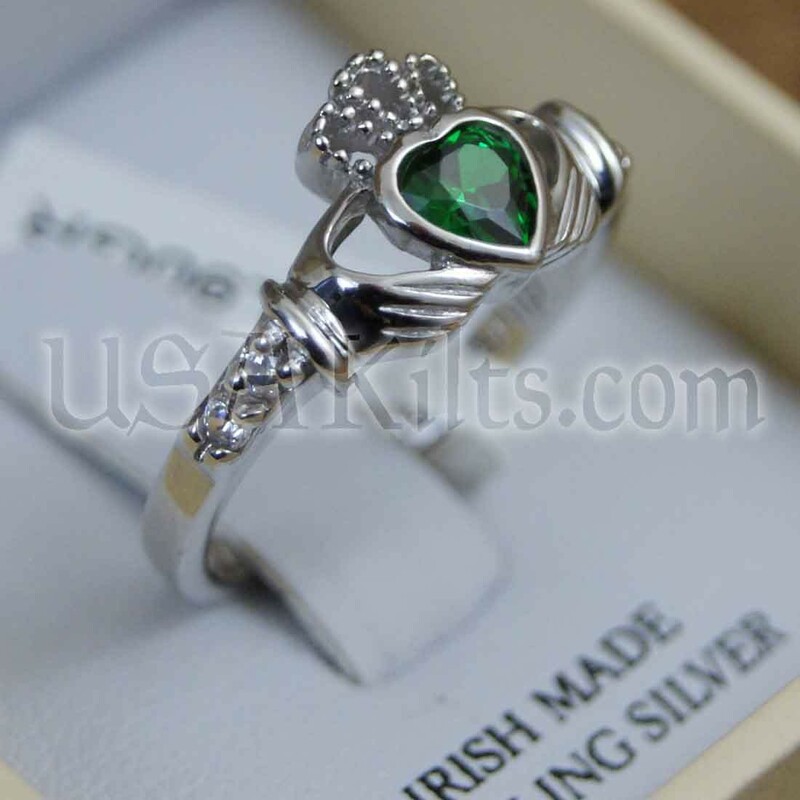 Our silver & emerald (Cubic Zirconia stone) Claddagh Ring includes all the classic features of the immortal design -- the delicate Heart of Love held by Hands of Friendship and adorned by the Crown of Loyalty. But we added something a little extra special -- a shimmering green emerald (Cubic Zirconia stone) within the heart. You'll also find "Love Loyalty Friendship" inscribed inside. It's an exciting new spin on the ancient Irish tradition. 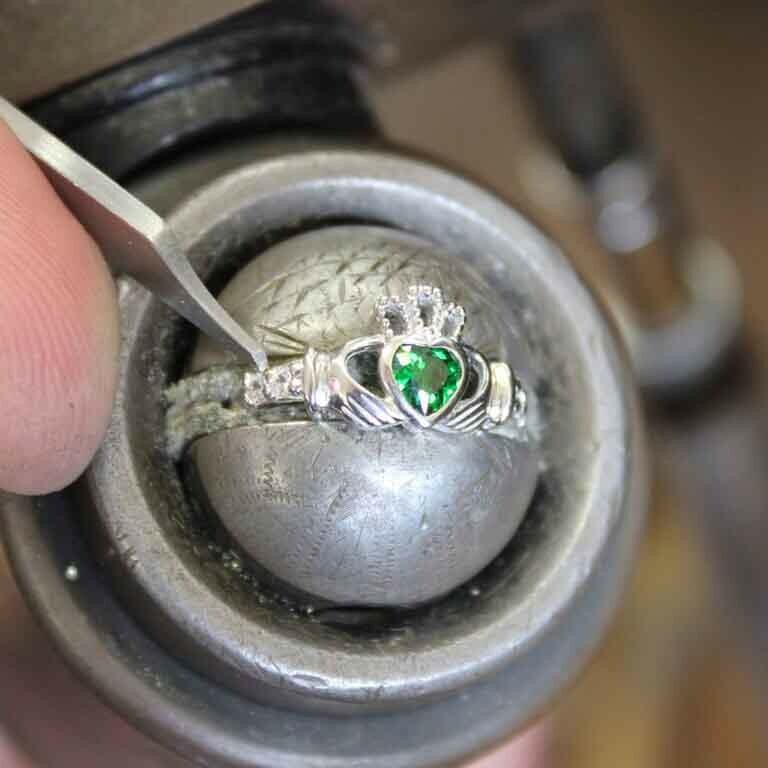 Hand crafted with extreme care by hereditary artisans in Galway, Ireland -- the birthplace of the Claddagh and the Irish jewelry tradition. You'll love the sparkle as well as the message!